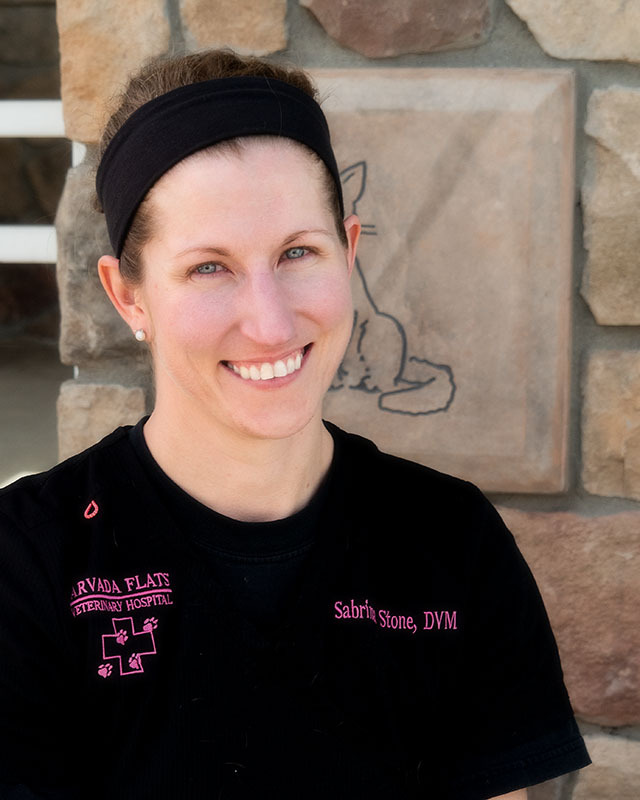 Sabrina Stone, DVM - Dr. Sabrina Stone grew up in Antioch, IL. She attended the University of Wisconsin-Madison for her undergraduate years. She then took a couple years off to work at a veterinary clinic in Madison before attending veterinary school at the University of Illinois Champaign-Urbana. Sabrina continued to cheer for the Badgers during her veterinary school years, and still does. She began her doctoral career in Pekin, IL for 3 years before leaving the cornfields in favor of the gorgeous mountains here. She started at Arvada Flats in June of 2017 and enjoys working with everyone here from our team, to the clients, and of course the patients! She also continues to grow the exotic species medicine speciality at Arvada Flats and has a special love and skill for working with these little ones. Both her and her husband grew up in the Midwest, and both are enjoying all the outdoorsy activities that Colorado has to offer.